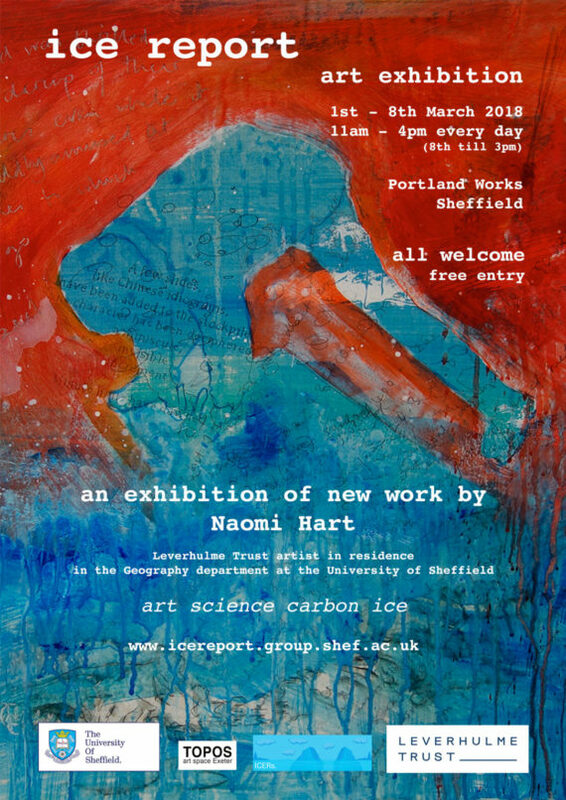 'ice report', showing work made during Naomi Hart's year as Leverhulme Trust artist in residence in the Geography Department at the University of Sheffield and from research in Svalbard in the High Arctic. 11am - 4pm every day (8th till 3pm). Free. All welcome.